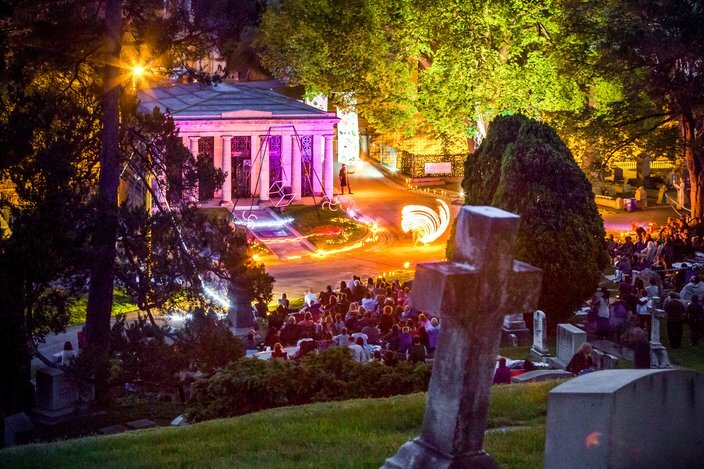 For the fourth year, Laurel Hill Cemetery will host The Ghostly Circus, in partnership with 7textures. 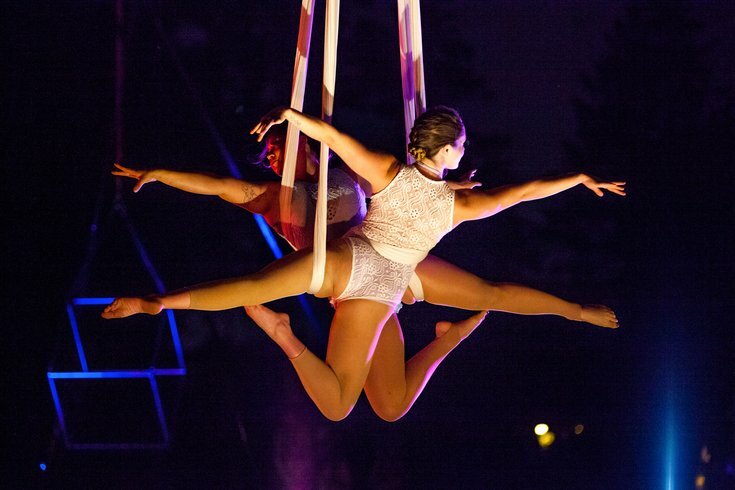 For two nights in June, aerial performers, fire dancers and other entertainers will put on an other-worldly show among the tombs and gravestones. After the unique theatrical production, there will be a "Dance With the Dead" party. Tickets for the event are $25 online ($35 on the day of the event, if available). Cocktails and food will be available for purchase; just remember to bring cash. On Friday, June 16, the food vendors will be Foolish Waffles, The Chilly Banana and 33rd Street Hospitality. The following day, on Saturday, June 17, the vendors will be Zsa's Ice Cream, My Four Suns and Pie-Stand. Ticket holders are asked to arrive at 7 p.m. with lawn chairs or blankets. Anyone who arrives after 8 p.m. will not be permitted to attend. A view of The Ghostly Circus.